Junior (under 13): Free if competing in the Junior Category. Note: not eligible for Best in Show award. Intermediate (13 -17): Free if competing in the Intermediate Category. Note: not eligible for Best in Show award. Adults: $12 for the first 4 kits, $3 for each additional kit. Again this year our sponsors have furnished some great prizes. 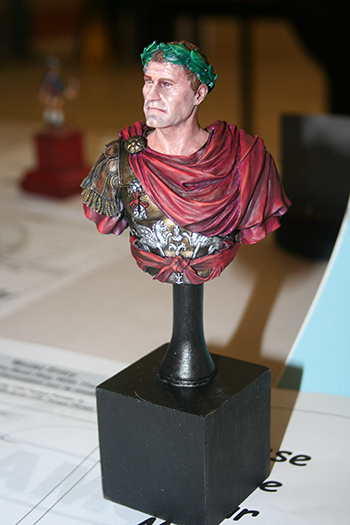 All modellers who register kits for Judging or Display are eligible for the door prize draws. Tri-Fives, 55-57 Chevys: Chevrolet's Tri-five family of vehicles represents some of the most recognizable and popular vehicles ever made. The Tr1-fives defined an area in North American automobile history for its advanced design and ingenuity, some of which continue well into the 21st Century. 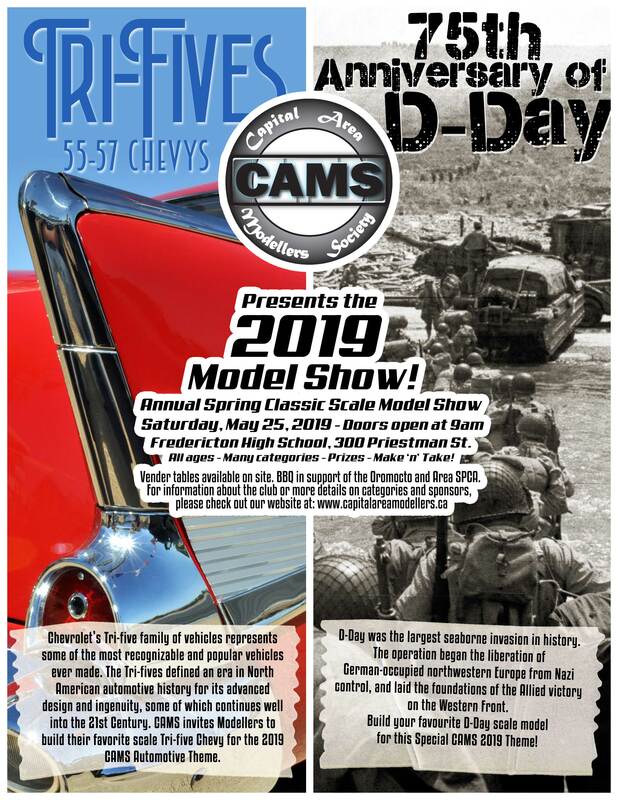 CAMS invites modellers to build their favorite scale Tri-five Chevy for the 2019 CAMS Automotive Theme. 75th Anniversary of D-Day: D-Day was the largest seaborne invasion in history. The operation began the liberation of German-occupied northwestern Europe from Nazi control, and laid the foundations of the Allied victory on the Western front. Build your favourite D-Dag scale model for this Special CAMS 2019 Theme! Other categories include: Military, Aircraft, Ship, Sci Fi, Diorama, Figures, Automotive, Junior, Intermediate and Canadiana. Check the Model Categories for more detailed theme and category descriptions. Many of the documents are provided in PDF format. Click the here to download the free Adobe Acrobat Reader. Note: Forms may be completed online in your choice of MS Word or PDF, then printed for submission. Or simply print the PDF version and complete the form by hand. Vendor Tables are available at $20 and must be pre booked to ensure availability. Please email info@capitalareamodellers.ca for more information.